How the lives of wild honey bees offer vital lessons for saving the world (TM)s managed bee coloniesHumans have kept honey bees in hives for millennia, yet only in recent decades have biologists begun to investigate how these industrious insects live in the wild. 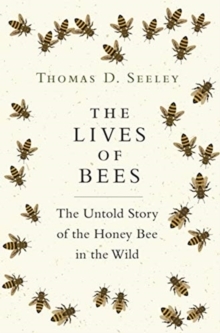 The Lives of Bees is Thomas Seeley (TM)s captivating story of what scientists are learning about the behavior, social life, and survival strategies of honey bees living outside the beekeeper (TM)s hive "and how wild honey bees may hold the key to reversing the alarming die-off of the planet (TM)s managed honey bee populations. Seeley, a world authority on honey bees, sheds light on why wild honey bees are still thriving while those living in managed colonies are in crisis. 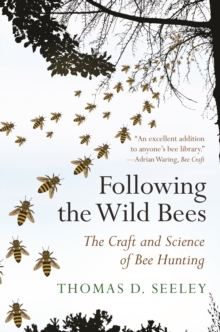 Drawing on the latest science as well as insights from his own pioneering fieldwork, he describes in extraordinary detail how honey bees live in nature and shows how this differs significantly from their lives under the management of beekeepers. 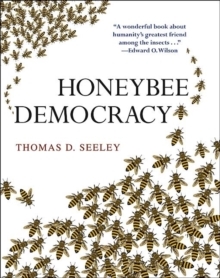 Seeley presents an entirely new approach to beekeeping "Darwinian Beekeeping "which enables honey bees to use the toolkit of survival skills their species has acquired over the past thirty million years, and to evolve solutions to the new challenges they face today. He shows beekeepers how to use the principles of natural selection to guide their practices, and he offers a new vision of how beekeeping can better align with the natural habits of honey bees. Engagingly written and deeply personal, The Lives of Bees reveals how we can become better custodians of honey bees and make use of their resources in ways that enrich their lives as well as our own. Pages: 376 pages, 72 color + 38 b/w illus.